We found 137 jobs near you! Sam’s Club is a division of Walmart stores, Inc. They operate a chain of over 650 membership warehouse clubs across the United States and Puerto Rico, and with an annual revenue of $58 billion they are the United State’s eighth largest retailer. Launched in Oklahoma City in 2002, Sam’s Club offers services that include photo centers, auto centers, pharmacies, fuel stations and hearing aid centers. They also provide a wide range of merchandise to small businesses and individual customers. In addition to branded merchandise, Sam’s Club offers two of their own premium quality brands - Daily Chef groceries and Members Mark business and office supplies. Sam’s Club offers a range of membership options with an annual fee, which provide discounts of up to 40%. 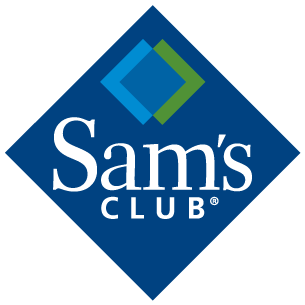 Sam’s Club has won several awards, including national recognition as Outstanding Corporate Supporter from The SCORE Foundation in 2012, a gold medal in the Best Comeback Story category in the PYMNTS.com 2015 Innovator Awards and three Loyalty 360 Awards for their 5-3-1 Cash Back Credit Card program in 2015. As part of the Walmart corporation, Sam’s Club adheres to the mission statement of the Walmart group, which is to “save people money so they can live better.” Founder Sam Walton started the membership warehouse division of the Walmart group to support entrepreneurs and small business owners by providing high quality merchandise at a low cost. They favor the best products rather than stocking everything available, passing some of these savings onto their members. In line with its parent corporation’s commitment to employee advancement, Sam’s Club offers all employees the chance to continue their training and have opportunities to advance within the company. Employees can access management training programs, Lifelong Learning, which allows them to receive college credit for parts of their work experience, and a wide range of other training and careers related tools. Employees have access to Walmart’s extensive benefit packages, which include 401K contribution matching, store discounts, health, dental and vision plans, and life insurance. They also have access to the Employee Stock Purchase Plan. Sales Associates take customer orders, advise on products and merchandise, liaise with warehouse staff, and ensure that each customer receives excellent customer service. They earn on average about $10.57 per hour. Meat Cutters work in the butcher’s department, where they fill customer orders, prepare displays, and answer customer questions about meat products. They earn an average of $13.06 per hour. Cafe Associates provide hot and cold food and drinks for Sam’s Club customers. They earn around $9.95 per hour. Store Managers oversee the operations of one of Sam’s Club’s many stores. They manage staff and oversee general operations. They earn around $74,000 per year. Senior Managers oversee Sam’s Club staff and operations for several departments. They oversee the operations of their area, provide reports and data to more senior managers, and ensure that Sam’s Club remains profitable and true to its corporate mission statement. They can earn around $100,000 per year. Merchandise Managers coordinate with company buyers to purchase merchandise for the inventory of one or more stores. They set sales goals and ensure that they are met, liaise with regional managers, and ensure that stocks are sufficient for store operation. They earn around $51,000 per year. Most Extreme Jobs In The U.S. Most Fun Jobs In The U.S.